Blood & Treasure and Swords & Wizardry galore! The last week has seen some heavy roleplaying (at least for me, that is). Here’s a session recap if you’re into such things. Basically, we managed to finish The Wizard’s Amulet and a large chunk of the main scenario in The Crucible of Freya using the Blood & Treasure rules. 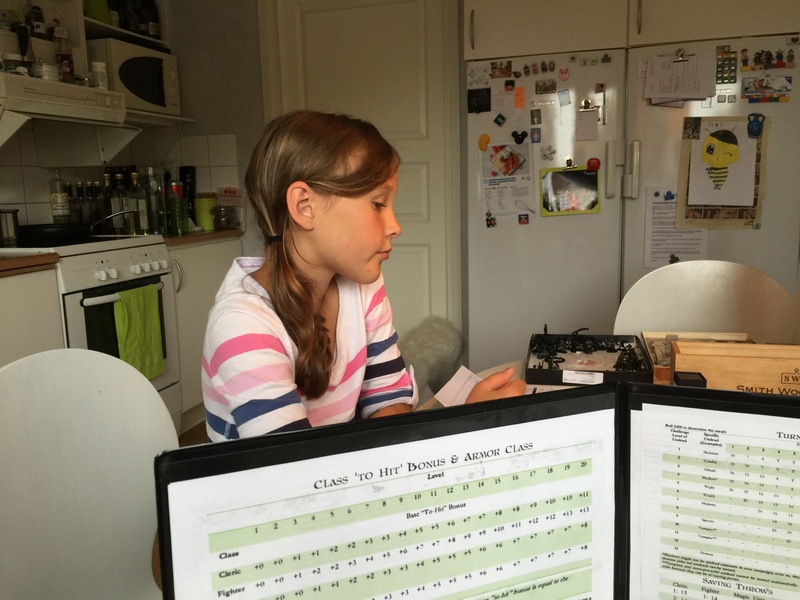 A few days later I got to play a session of Swords & Wizardry Complete with my kids. 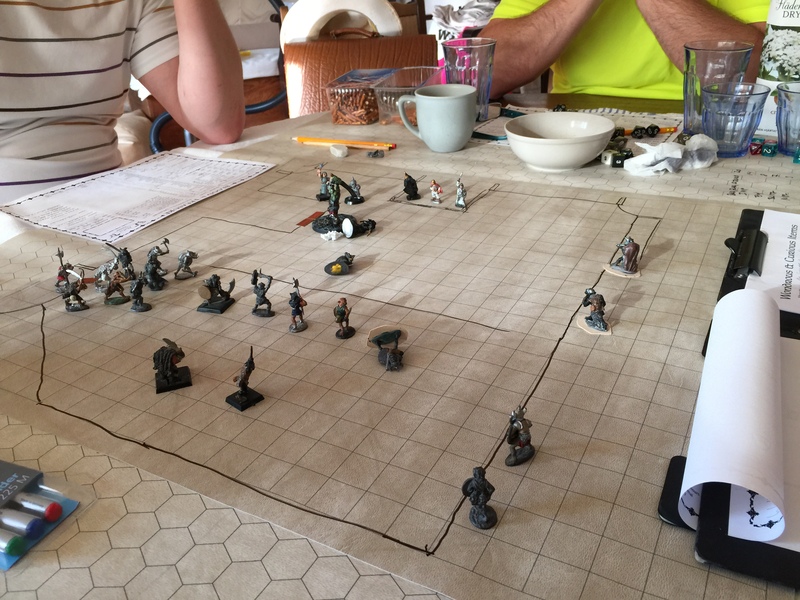 It was session 2 of Tomb of the Iron God and they got to delve deeper into the tomb and met a lot of mean goblins that they managed to defeat by some smart “create chokepoint” tactics. Eventually, they got outsmarted and got a two-front battle as a detachment of goblins snuck up from behind, but they managed to block a door and could hold their position long enough to win the fight. Next week I will run two sessions for my regular group – an extra session on Wednesday and our usual session on Sunday. 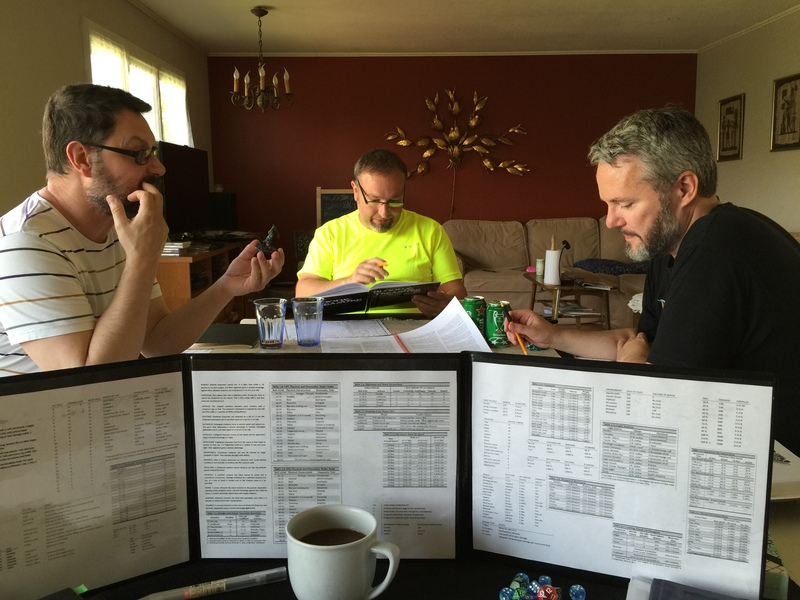 This past Sunday two of the players from my regular group premiered with Blood & Treasure, and the one-shot adventure I ran was Bloodnut Pass by Matt Jackson. 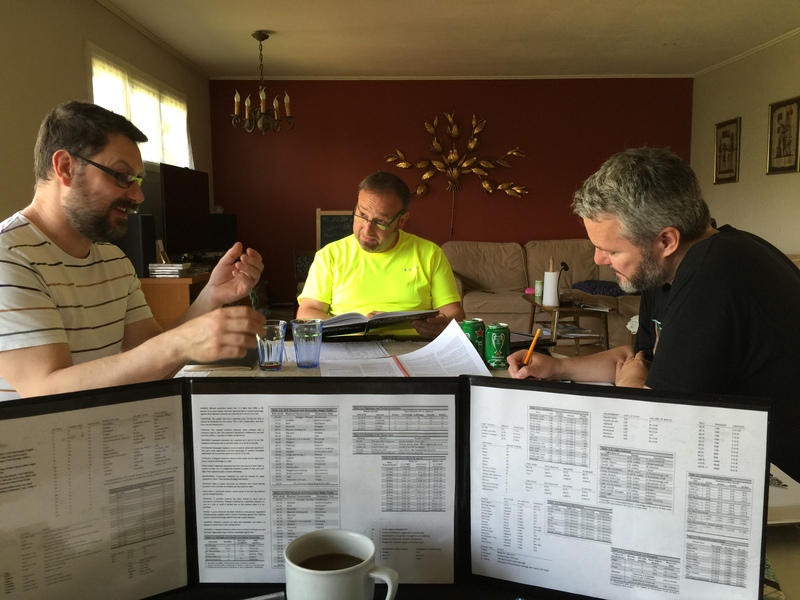 We were originally to play When a Star Falls using 5e and with the other GM in our group, but he had been up to his ears in work and hadn’t had time to prepare, so I speed-prepped for this game instead. The premises were that this merry band of murderhobos were en route to an abandoned Wizard’s Tower that they had heard about in the last village down the road (yes, it’s the Tower of the Stargazer). And of course, the way there passed through the ill-reputed Bloodnut Pass. I will not spoil the module for you, but it was bloody. And nutty. And we had loads of fun! 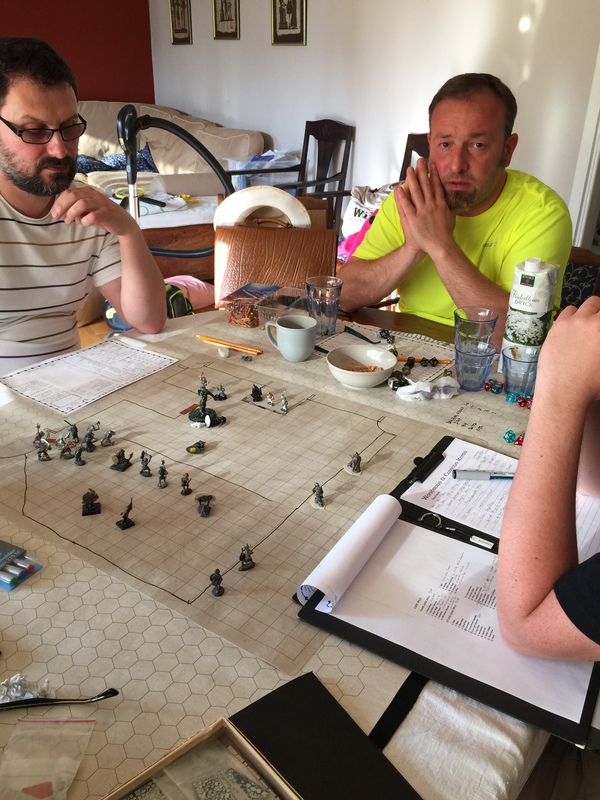 I have noticed that my players always make the best characters and play them best when we run extra scenarios or one-shots. Maybe because they don’t care so much about their characters. Anyway, I can really recommend this adventure for an evening of dungeon delving. It’s a bit on the “adult” side, but you could of course tone down the worst bits if you run it for a younger group of players. I must also say that the Blood & Treasure rules worked really well. 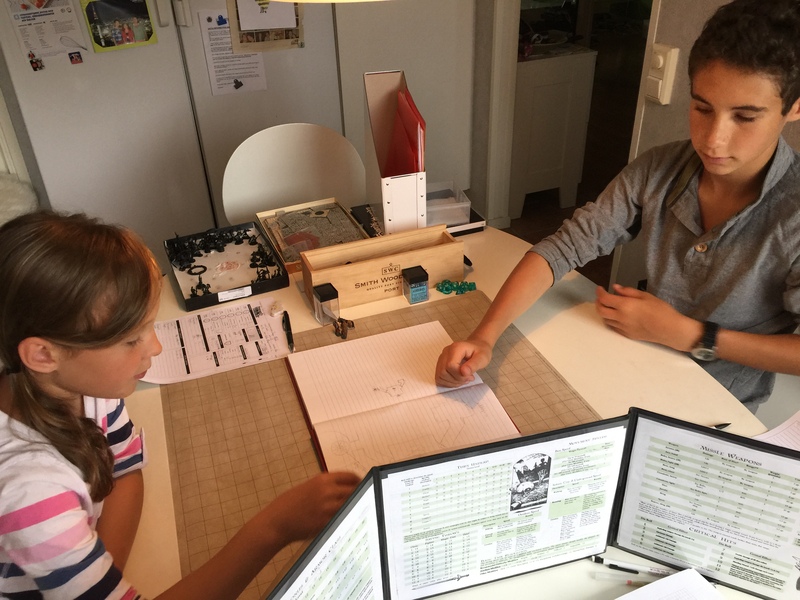 Character generation was quick – it took about 40 mins for two total B&T noobs to roll up four PCs including shopping and selection of feats/talents and spells. We also got to try out my Task resolution hack and some cool combat stunts and moves. For me as GM, it was flowing well. I love this game, but haven’t played it all that much yet due to other ongoing games. Even so, it was really easy to get into and my home-bookmarked PDF really helped to find things quickly. 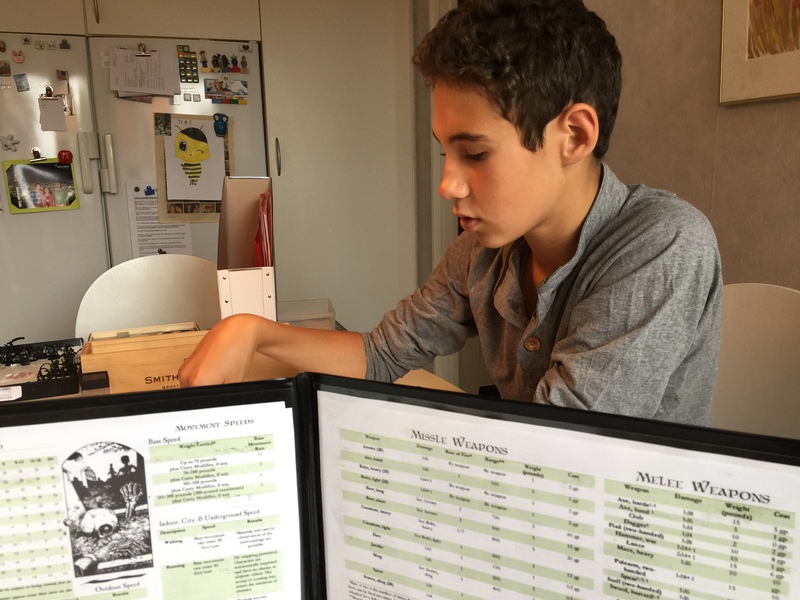 I love books at the table but for quick look-ups, the PDF on a tablet really rocks. We also increased all PC hit dice by one die (i.e. d6→d8 etc.) as well as using d8 for monster HD instead of d6.